I highly recommend this. The teacher is excellent. Check out the results fo this study published in the New England Journal of Medicine. This is new work, published in 2012 shows (again) that Yang tai chi and it’s soft gentle movements help people suffering terrible pain feel better. I am happy to say, this is the exact form I teach at the center. So, please come in and try it. 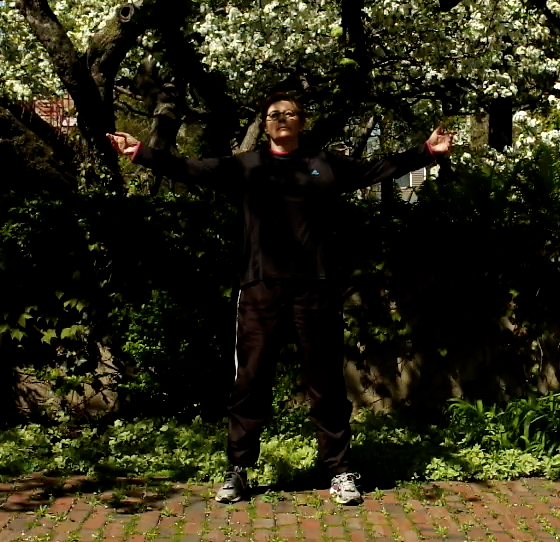 One of the things I love best aout treating pain with tai chi, no icky side effects as you’d experience from medication. And if you become addicted to tai chi as a form of exercise, you’ll just live a healthier life with less pain and more peace of mind. Please know that if you have restricted or limited mobility, I can adapt the exercises for you. Anyone can learn this. Recently I started studying Ving Tsun with Sifu Matt Johnson. Sifu Johnson was taught Wing Chun by Master Ip Ching, the youngest son of the late Grandmaster Ip Man. I enjoyed my interview with Sifu Johnson and felt a definite pull towards studying with him. I was a bit worried that he might not accept me and I even hesitated asking him. But, I did and he accepted me as a student. Sifu Johnson started me out on the first form Siu Lim Tao (小念頭) which translates to “Little Idea” or “Small Idea.” While this form may seem simple it contains much of the essence of Ving Tsun. Sifu Johnson told me to think of this form as the alphabet and with it I can build words, phrases and then a novel. So I hope my readers will follow along as I learn to write in this new language. Below is an old film I found of Grandmaster Ip Man doing Ving Tsun forms.